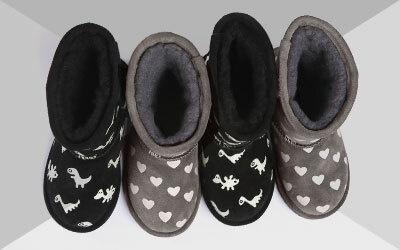 The EMU Australia Shark is a children’s mid calf boot featuring teeth and a playful fin. 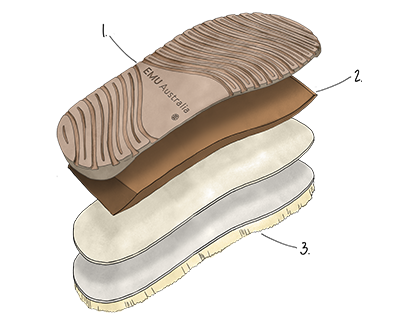 Soft Australian Merino wool lining keeps feet warm and cosy, while the cushioning and durable outsole provides all day comfort. Playful and fun, the Little Creatures Shark is a children’s suede boot ready for action. Mid calf in height, they are lined with thick Australian Merino wool to keep feet warm, a moulded heel cup and dual layered EVA outsole delivers a durable, comfortable fit.